How To Buy Alligator Skin Boots? 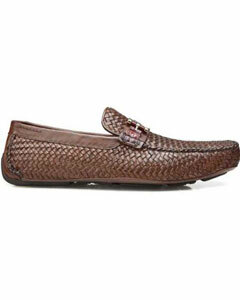 If you love to own unique and rare pair of boots, exotic boots like alligator shoes for men are surely your thing. In earlier time, people used to think that stylish and fashionable footwear only meant and made for women whereas in recent time, men as well as kids are also aware of latest trends in footwear industry. You cannot deny the fact that now all people are practical enough to think about their appearance whenever they go out just as the celebrities tend to follow whenever they are up for public appearance. The basic motto is to bring out the best in you from top to bottom with perfect sense of fashion and style. Therefore, to satisfy the global consumers, different brands have come up with variable range of exotic footwear over the years where alligator boots always attracted people more than any other products. Before knowing how to buy alligator skin boots, you should acquire knowledge on the features of alligator boots to make yourself able to identify the original and suitable one for you. If you want to enrich your footwear collection, having an alligator boot will surely help you achieve your goal. The rugged look, masculine appearance, extreme durability, versatile design and pattern along with universal appeal, alligator boots always help the wearer to stand out in crowd. You can even have different varieties in alligator boots in terms of length such as ankle length, knee length, loafers as well as extended shafts. If you observe minutely, you will notice, that mostly alligator boots with extended shafts come up with decoration and colorful design that often differ from the color and contour of the original boots. Therefore, this refined blending of contrasting colors in alligator boots make thoselooks more appealing and popular in recent times. Mostly, people love to own alligator boots to show off their strong and bold fashion statement. As they are quite rough and tough in nature, you can use them in regular basis too. If you are wondering whether it will be comfortable or not, you do not have to worry about any discomfiture. The basic point during shopping alligator boots is to be attentive to find out whether the source of collecting those boots are authentic and legal as a lot of fake production is being made in market. Moreover, going through a trial is strictly important to experience the comfort level of it along with ensuring perfect fitting. If you have any problem with shape and size of your chosen boots, make sure you can replace them with the right one.Owning alligator boots nowadays acts like a status symbol among people to show off their well-being.